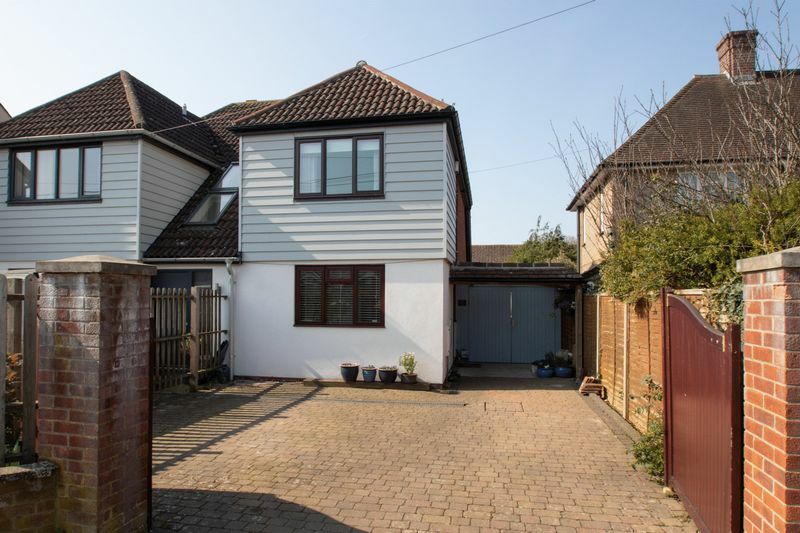 A beautifully presented two bedroom semi-detached house located to the east of the cathedral city of Chichester but still within walking distance of the city centre and with the added benefit of driveway parking for two-three cars. 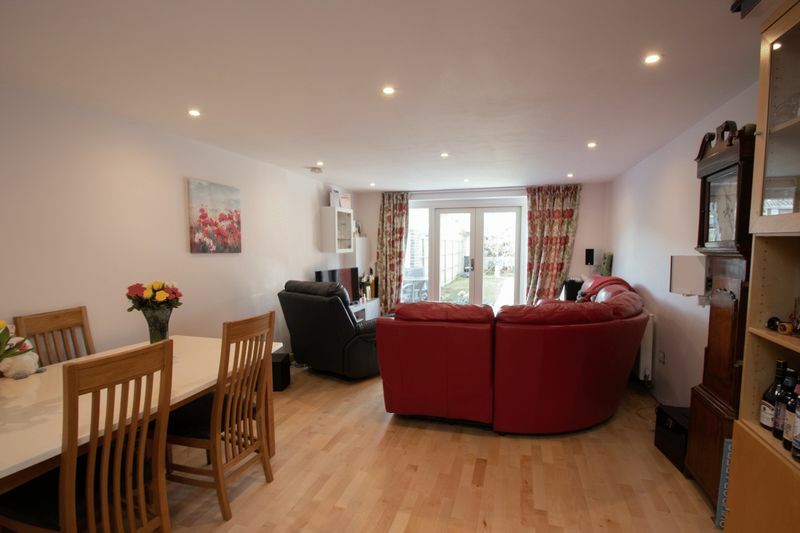 The property has been extensively refurbished by the current vendors and is laid out over two stories with a ground floor comprising a kitchen, 22’6 sitting/dining room and cloakroom. 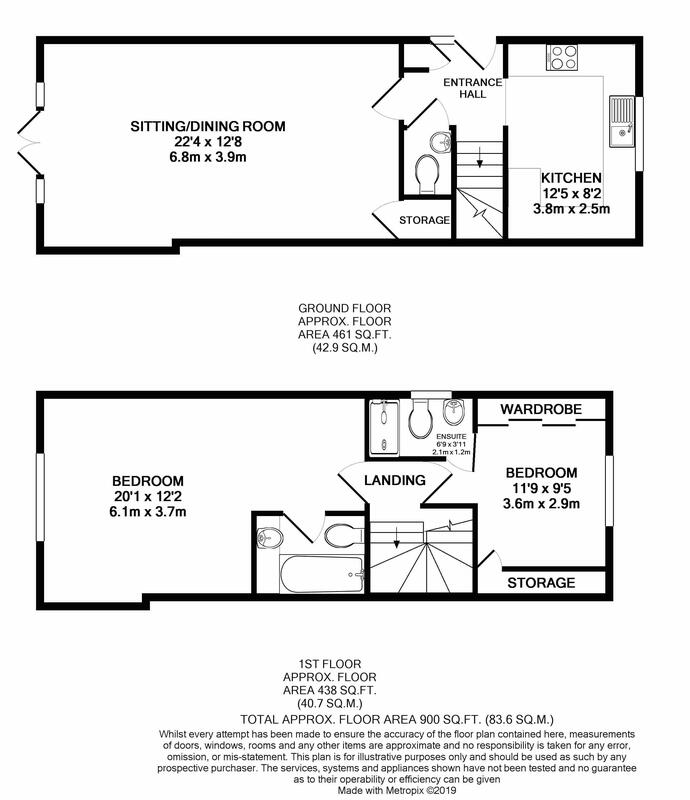 And on the first floor there are two good size double bedrooms both with built in storage and en suite bathrooms. 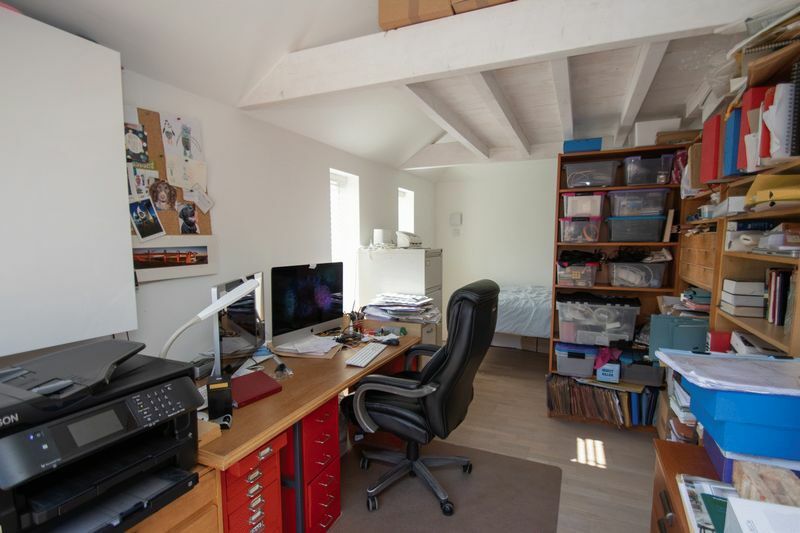 At the rear there is a lovely west facing garden, with a separate work shop and detached home office/occasional third bedroom. Internal viewing a must and no onward chain. Access is to the side via a composite four panel part obscure double glazed front door leading into hallway area with engineered wood flooring, downlights and radiator. Access to built-in storage cupboard and leading onto kitchen, sitting/dining room, downstairs cloakroom and stairs to first floor landing. 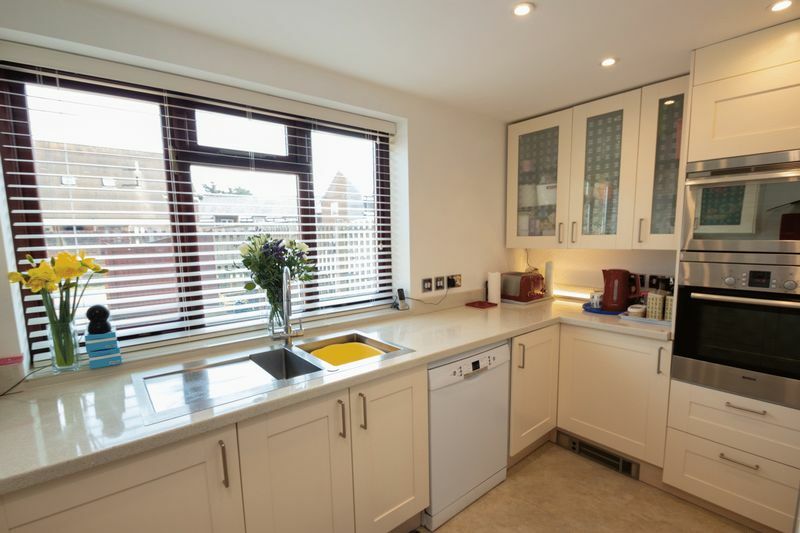 A recently refitted kitchen with a good range of matching eye and base level kitchen units, roll-top Corian work surfaces with inset sink, half, drainer and single mixer tap. 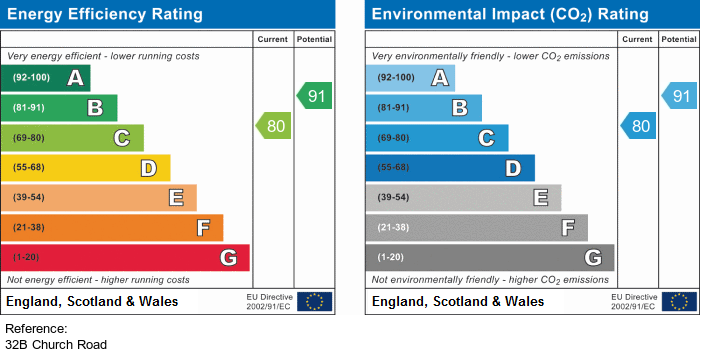 Waist height single electric oven and separate microwave, four ring induction hob with glass splashback and oversized extractor chimney overhead. 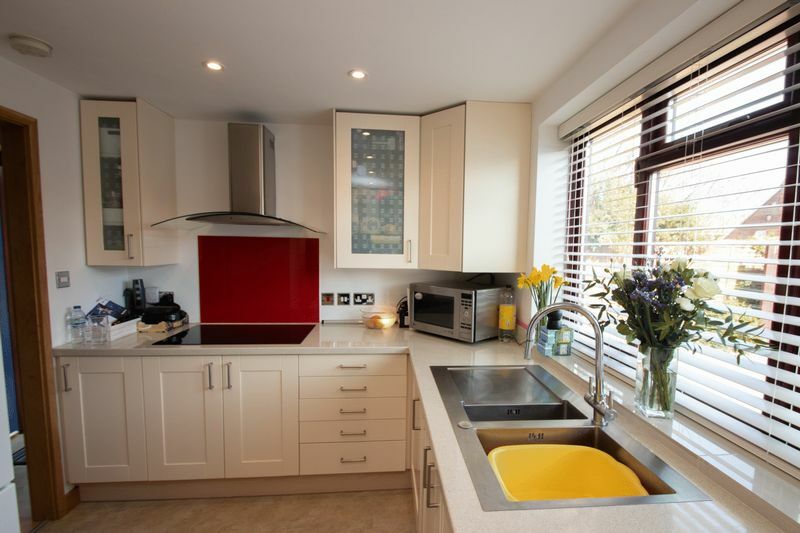 Double glazed window to the front, downlights and space for a freestanding dishwasher and tall fridge freezer. 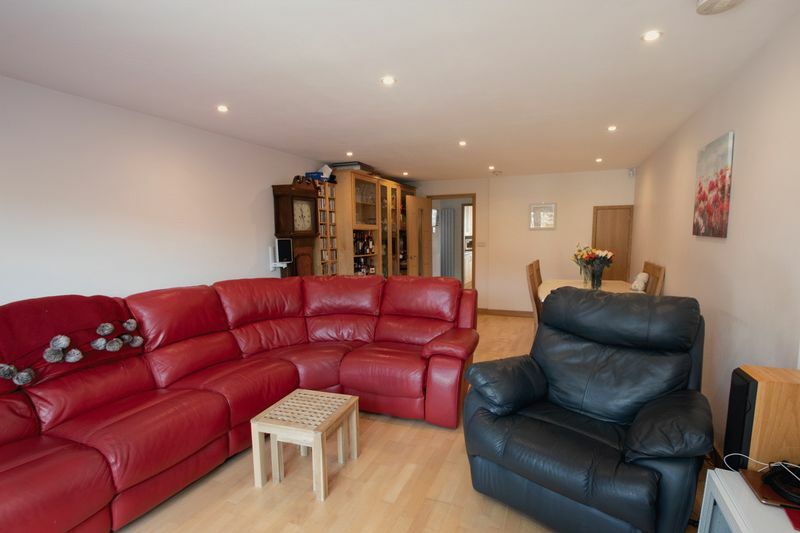 A fantastic 22ft long light and bright west facing space with engineered wood flooring, access to under stairs storage cupboard, mains powered smoke alarm and radiator. Triple glazed composite windows and French doors leading onto the rear garden. With a low level w.c., wall mounted vanity unit wash hand basin with single mixer tap and tiled splashback. Tiled floor, downlights and extractor fan. A light and bright space with wall mounted radiator, natural light via a light tunnel and feature pendant light fitting in the middle. 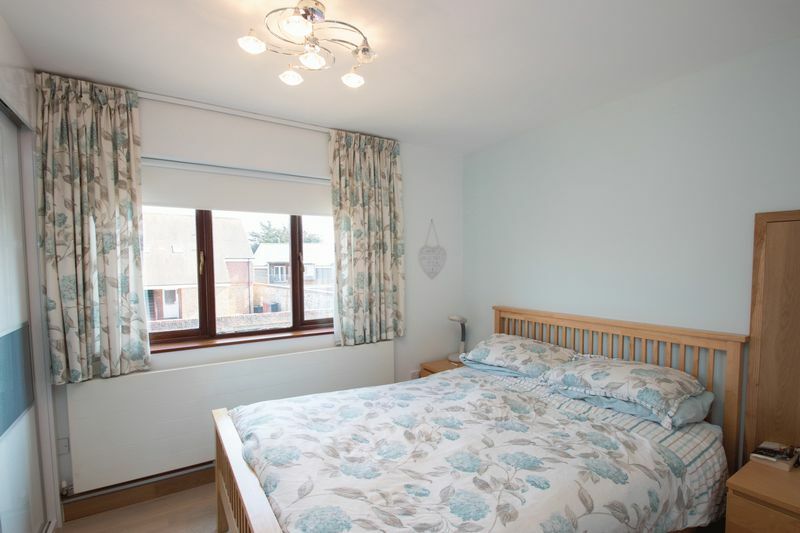 Leading onto both bedrooms. 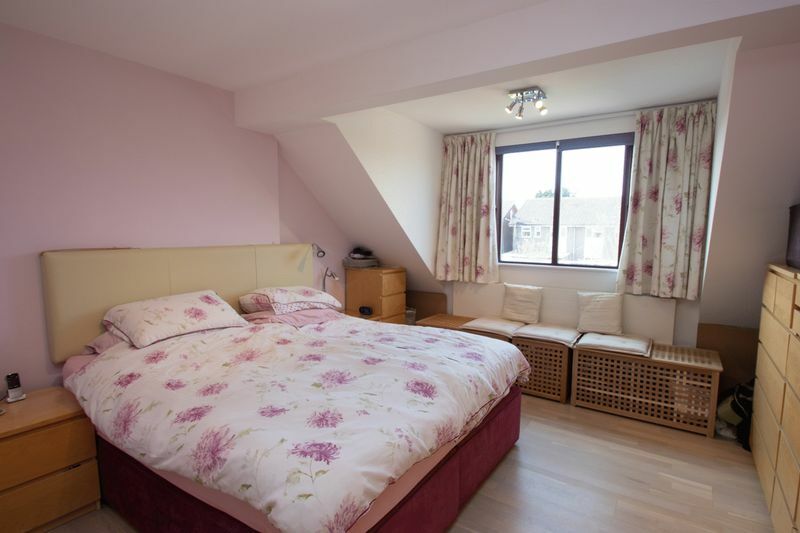 A large 20ft long master bedroom with whitewash style engineered wood flooring, double glazed window to the rear garden, radiator, spotlights, built in floor to ceiling wardrobes, drop down loft hatch with ladder and access to en suite bathroom. 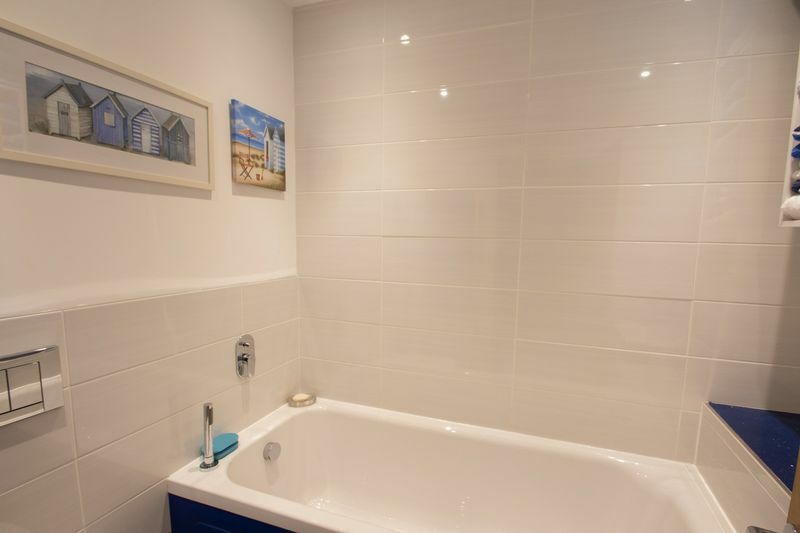 With a modern style wall mounted low level w.c. with hidden cistern, panel bath with a wall mounted single mixer tap and separate hand held shower attachment and partly tiled walls. Large vanity unit wash hand basin with single mixer tap, downlights, extractor fan and a heated towel rail. 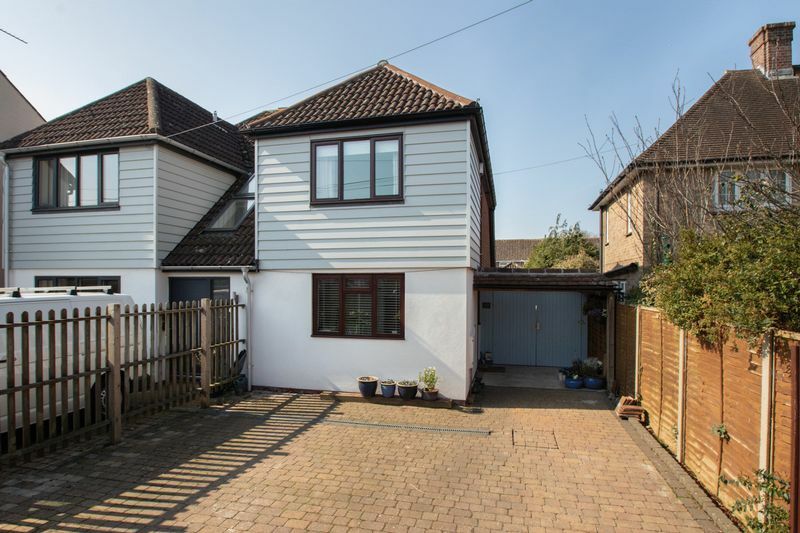 With double glazed window to the front, large floor to ceiling built-in sliding door wardrobes, radiator, engineered oak flooring, access to eaves storage and leading onto en suite shower room. 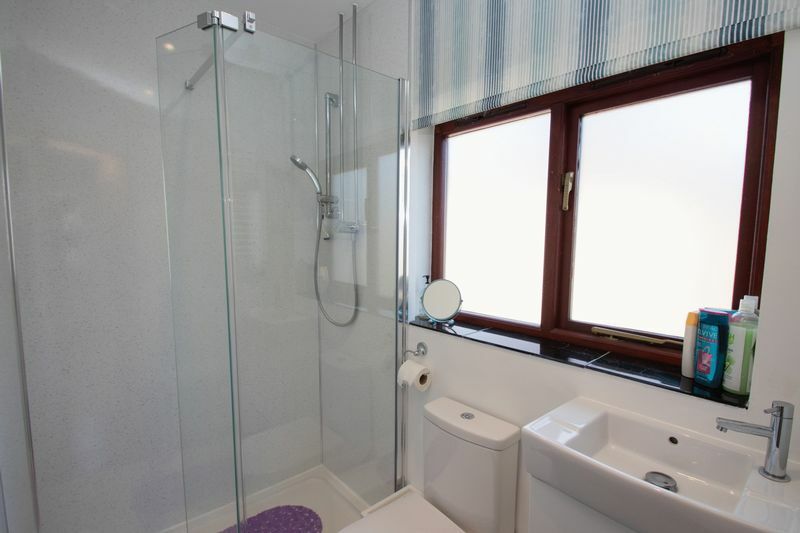 Tiled floor, large step in shower cubicle with Mira mixer shower, downlights, extractor fan and obscure double glazed window to the side. Low level w.c., wall mounted wash hand basin vanity unit with storage below and heated towel rail. 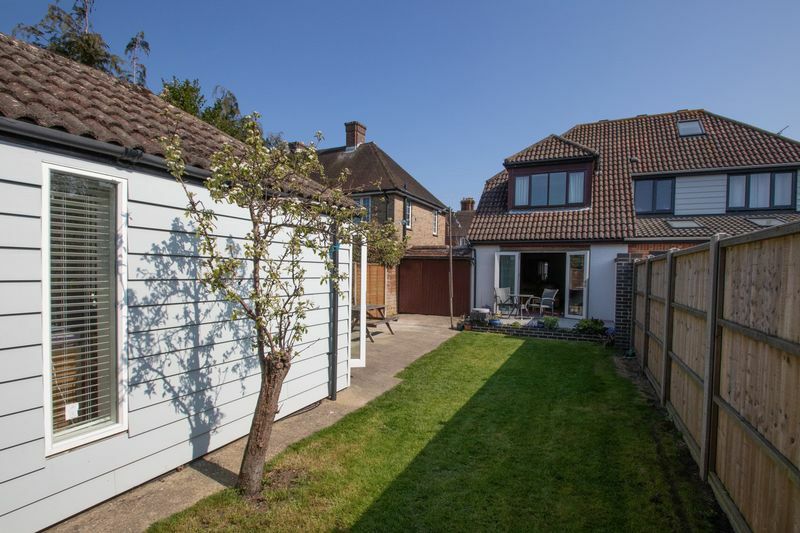 Detached from the property in the rear garden and built inline with building regulations. 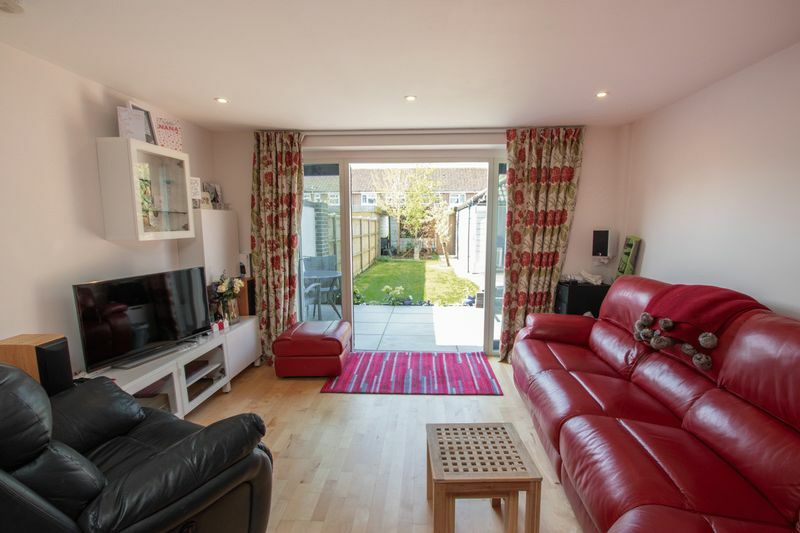 With engineered wood flooring, two floor to ceiling double glazed windows to the side, double glazed bi-folding doors to the front, mains power and lighting, vaulted roof with built-in storage overall a fantastic and versatile additional space. 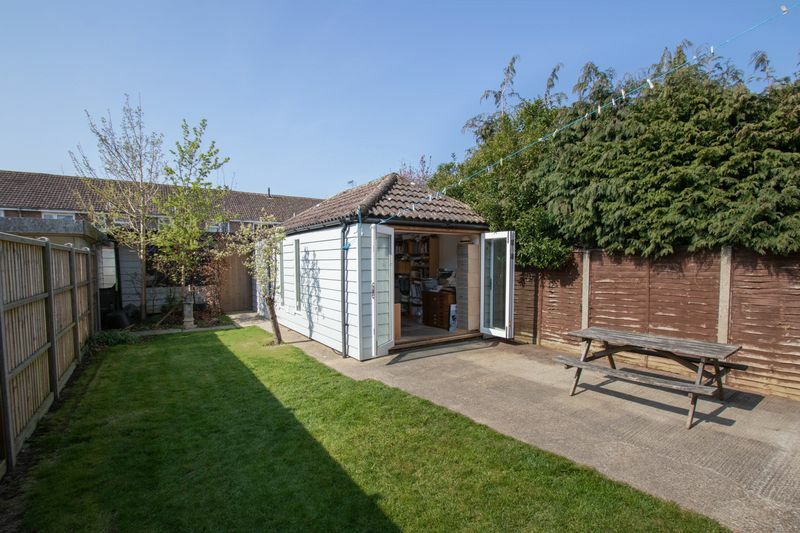 A great west facing garden with a patio area directly to the rear of the property, leading onto a good sized lawn area and concrete hardstand. 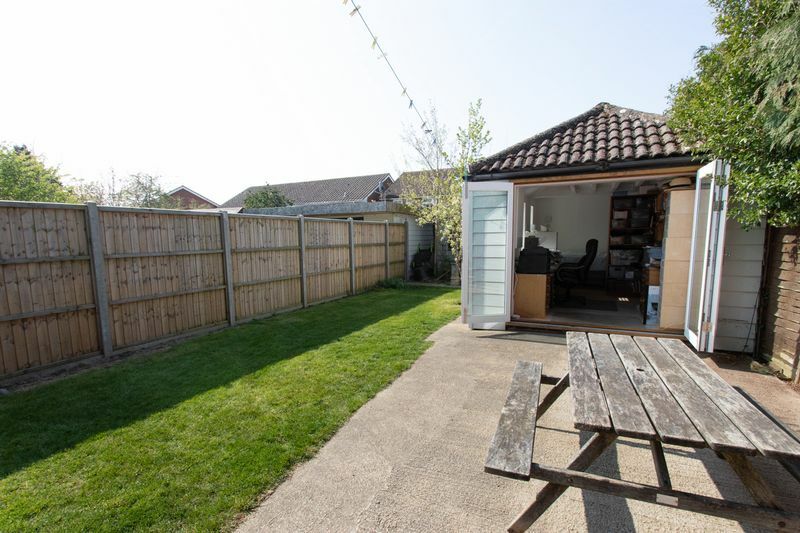 Fencing on both boundaries with mature trees dotted around and access to the side lean-to and home office and workshop. With barn style double door access to the side of the property and 26ft in length with an inspection pit, mains power and lighting and plumbing for a washing machine. A large timber workshop to the rear of the garden 21ft x 13ft with mains power and lighting. windows onto the garden and lockable timber door for access. A gated paved driveway to the front providing parking for 2-3 cars.